Here in the states, May is National Bike Month. Who knew? 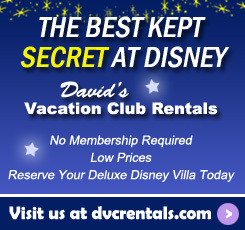 It provided me with a good lead in to tell you about renting bikes in Walt Disney World. 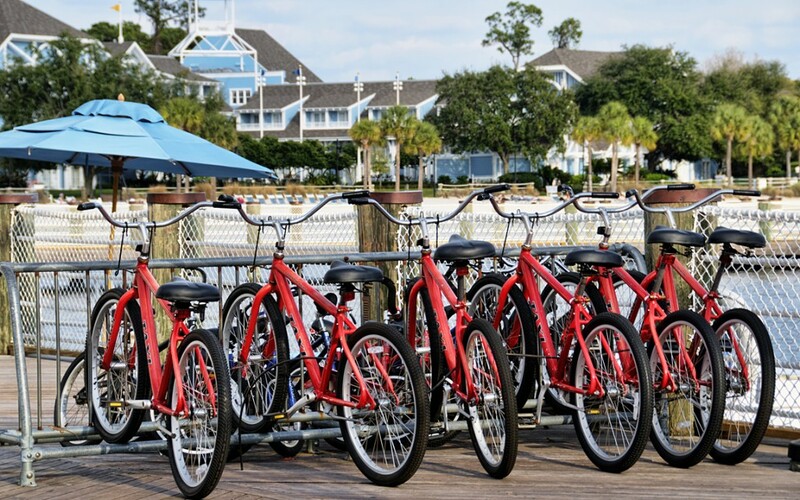 Did you know that you can rent a bike at nearly all of the Disney Vacation Club resorts? They have bikes for both adults and children, as well as child seats for little ones to ride along on the adult bikes. In Florida, kids under 16 are required to wear helmets and Disney provides those as well. For under $10 you can rent a bike for an hour – or keep it all day for just under $20. 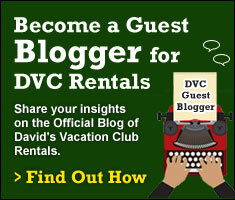 DVC members save an additional 20%. You don’t need to reserve it in advance either. It’s first come, first served. When you check in, you’ll receive a Recreation Activity sheet. It’ll tell you where you can rent bikes at your resort. If you don’t see it there, give the front desk a call and they can help you out. You aren’t restricted to your own resort. One of the best places to ride is a .75-mile ride between Disney’s Wilderness Lodge and Ft. Wilderness. Another good spot to ride is around Crescent Lake from the Yacht & Beach Club Resort. Next time you’re looking for something fun to do outside of the parks, remember Disney’s two-wheeled people-powered vehicles.